Over the last several decades, advanced medical technology has led to improved surgical techniques and emergency care for burn injuries. Simply put, more people are surviving that would have been fatal 20 or 30 years ago. Burn scar tissue that plays a role in persistent pain, inhibits quality of life, interferes with structure and organs can be safely addressed by skilled manual therapists. This course includes interviewing techniques and clinical decision-making for working with burn survivors’ traumatic scarring. Scar management treatment can help with range of motion and improve their quality of life. Nancy combines years of research with burn scar clients and her certification in MLD to develop a protocol that combines gentle hands-on techniques to facilitate the best healing environment. This Seminar-On-Demand is 4 contact hours in length (check your state’s approval status in the state specific course catalog for your profession). Discuss the important role inflammation plays in the healing process of Burn scar formation. This course is designed to instruct the healthcare professional on identifying burn scars and the impact on the client. Target Audience: Physical Therapists Physical Therapist Assistants, Occupational Therapists, Occupational Therapist Assistants, Massage Therapist. 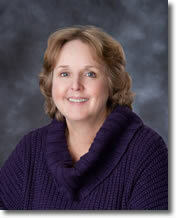 Financial – Nancy Keeney Smith is the owner of Touch Therapy and receives a salary. 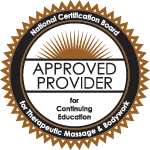 Nancy Keeney Smith, LMT, MLD is a Licensed Massage Therapist, Certified Manual Lymph Drainage Therapist, and a Florida and NCTMB Provider of Scar Management Workshops. Nancy’s Working with Matured Scar Tissue Workshops has been taught internationally to massage school students, LMT’s, PT’s and OT’s. Nancy is a member of the Associate Research Team at the Florida School of Massage in Gainesville, Florida, founder and Director of The Happy Plus Foundation, 2nd Vice-President of the AMTA Florida Chapter, member of the American Burn Association, the National Lymphedema Association and the Phoenix Society for Burn Survivors. Her private practice in Gainesville, Florida includes treatment of burn survivors, clients battling cancer, mastectomy scar management, as well as others with traumatic scarring. Nancy consults with Physical and Occupational Therapists on burn massage techniques and developing long term protocol for scar management after care programs.